From time to time I read critiques that Reformed theology doesn’t really do justice to the kingdom of God, or that it is weak on kingdom theology. 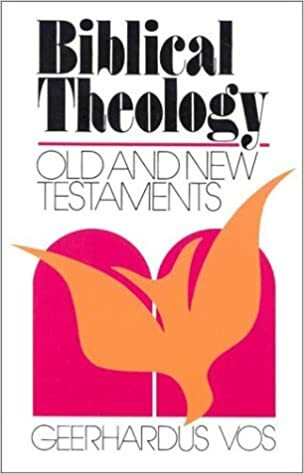 In other words, some current theologians, teachers, and authors are critical of Reformed theology because (in their view) it relegates the kingdom of God to a minor place in the overall theological scheme. Before disproving this accusation, I think it is worth nothing that in evangelical circles the term “kingdom” has taken on an almost faddish status. In today’s evangelical world when a few popular figures emphasize the kingdom in a trendy way, others latch on and it goes viral overnight (“kingdom” becomes a hip evangelical word like “authentic” or “vintage”). What happens then is those evangelicals who equate Reformed theology with TULIP/Calvinism say that Reformed theology has a weak view of God’s kingdom because TULIP doesn’t talk much about the kingdom. I realize this is debatable, but it is worth discussion. However, one thing is clear: historic Reformed theology does not ignore the kingdom of God. Kingdom theology makes up one of the great and important threads of Reformation doctrine. We have to remember that there’s much more to Reformed theology than TULIP. First, God’s kingdom is discussed in the creeds and confessions. In the Nicene Creed we confess together that Christ’s kingdom “shall have no end.” In the Heidelberg Catechism the following topics are discussed: Christ as King (Q/A 31), the keys of the kingdom of heaven (Q/A 83-85), and the petition in the Lord’s prayer, Your kingdom come (Q/A 123; cf. Q/A 128). The Belgic Confession mentions the kingdom of God in articles 27 and 36 while the Canons of Dort speak about the kingdom in III/IV.10. Similarly, the Westminster Standards discuss the reign of Christ and his kingdom extensively: WCF 8:1, 5; 23:3, 25:2, 30:1-2, WLC 42, 45, 53, 191, 196 and WSC 23, 26, 102, and 107. Very clearly the Reformed Creeds and Confessions have much to say about the kingdom of God. It is no mere footnote. Second, the kingdom of God was discussed quite often by Reformed theologians in the past. John Calvin (d. 1564) wrote about the kingdom so often in the Institutes it would take too long to list the references here. In commenting on the Catechism, Zacharias Ursinus (d. 1583) spoke in-depth about the kingdom (Commentary, p. 176, 440-463, and 632-637). Similarly, Thomas Watson (d. 1680) wrote much about the kingdom in several of his books, including The Lord’s Prayer, The Beatitudes, and Heaven Taken by Storm. Dutch theologian Willem Teelinck (d.1629) wrote about the kingdom of grace and how it applies to godliness in The Path of True Godliness. The following Reformed theologians also had a lot to say about Christ’s kingdom: Herman Witsius, Herman Bavinck, Wilhelmus a Brakel, William Ames, and the list goes on. Third, and finally, Reformed theologians of recent history have written on the kingdom of God. For example, Herman Ridderbos wrote The Coming of the Kingdom and Meredith Kline wrote Kingdom Prologue (see also Geerhardus Vos’ The Teaching of Jesus Concerning the Kingdom of God and the Church). Kim Riddlebarger speaks of it in A Case for Amillennialism while Anthony Hoekma did the same in The Bible and the Future (see also C. Venema’s work, The Promise of the Future). David VanDrunen has also recently done extensive study in kingdom theology (Living in God’s Two Kingdoms and Natural Law and the Two Kingdoms). And the list goes on; I’ve only mentioned a small handful here. If you thought that Reformed theology neglected the topic of Christ’s kingdom, I encourage you to check out some of the above resources. Or, next time you hear someone wrongly accuse Reformed theology of ignoring the kingdom theme, you can (lovingly!) prove otherwise. Reformed theology has a rich, biblical, and edifying view of Christ’s kingdom and what it means to be a citizen of it. The first feature characteristic of supernatural revelation is its historical progress. God has not communicated to us the knowledge of the truth as it appears in the calm light of eternity to His own timeless vision. He has not given it in the form of abstract propositions logically correlated and systematized. The simple fact that it is the task of Systematic Theology to reproduce revealed truth in such form, shows that it does not possess this form from the beginning. The self-revelation of God is a work covering ages, proceeding in a sequence of revealing words and acts, appearing in a long perspective of time. The truth comes in the form of growing truth, not truth at rest. No doubt the explanation of this fact is partly to be sought in the finiteness of the human understanding. Even that part of the knowledge of God which has been revealed to us is so overwhelmingly great and so far transcends our human capacities, is such a flood of light, that it had, as it were, gradually to be let in upon us, ray after ray, and not the full radiancy at once. By imparting the elements of the knowledge of Himself in a divinely arranged sequence God has pointed out to us the way in which we might gradually grasp and truly know Him. This becomes still more evident, if we remember that this revelation is intended for all ages and nations and classes and conditions of men, and therefore must adapt itself to the most various characters and temperaments by which it is to be assimilated. 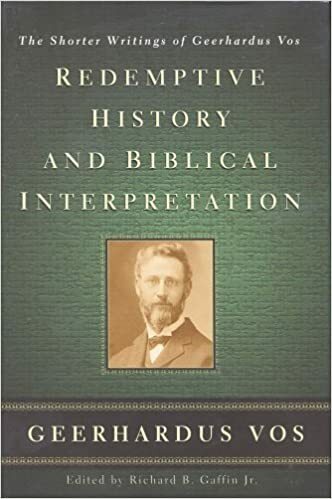 Geerhardus Vos, Redemptive History and Biblical Interpretation: The Shorter Writings of Geerhardus Vos, ed. Richard B. Gaffin Jr. (Phillipsburg, NJ: P&R Publishing, 2001), 7. …the “perfecting” of the Savior, which is made so prominent in the Epistle, has two sides: [first:] it is perfecting in the sphere of sympathy with exposure to temptation and [second] perfecting in the sphere of appreciation of obedience which overcomes temptation. In both respects the perfecting is an ethical process, since it took place by means of an ethical experience through which the Savior passed: He became acquainted with the force of temptation and learned the practice of obedience. But so far as the notion of τελείωσις [perfection] in itself and from a formal point of view is concerned, the Epistle does not know this as an ethical but as an official conception. The term nowhere designates that Jesus was made ethically or religiously perfect, that His character was developed in either sense; it always designates that His qualifications for the high-priestly office were perfected, that He received the full-orbed equipment which His priestly ministry requires. The subject of the τελείωσις [perfection] is always the priest, never the man. That the means through which the τελείωσις [perfection] of the priest takes place lie in the moral sphere cannot alter this conclusion in the least. The author has nowhere said, and hardly would have said, that in His moral or religious character Jesus was made perfect. Geerhardus Vos, Redemptive History and Biblical Interpretation: The Shorter Writings of Geerhardus Vos, ed. Richard B. Gaffin Jr. (Phillipsburg, NJ: P&R Publishing, 2001), 149–150. I always appreciate the writings of Geerhardus Vos. His biblical/theological dictionary articles are no exception. Here’s an excerpt of his article on brotherly love from the late 19th-century publication called Dictionary of the Apostolic Church. The Origin of Brotherly Love: Religious love in general is a supernatural product. It originates not spontaneously from a sinful soil, but in response to the sovereign love of God, and that under the influence of the Spirit (Rom. 5:5, 8, 8:28, 1 Cor. 8:3 [where “is known of him” = “has become the object of his love”], Gal. 4:9 [where “to be known by God” has the same pregnant sense], 1 John 4:10, 19). Love for the brethren specifically is also a product of regeneration (1 Pet. 1:22, 23; cf. 1:2–3). Especially in St. Paul, the origin of brotherly love is connected with the supernatural experience of dying with Christ, in which the sinful love of self is destroyed, and love for God, Christ, and the brethren produced in its place (Rom. 6:10ff., 7:4, 8:1–4, 2 Cor. 5:14–16, Gal. 2:19–20). Accordingly, love for the brethren appears among other virtues and graces as a fruit of the Spirit, a charisma (Rom. 15:30, 1 Cor. 13, Gal. 5:22, 6:8–10). Vos, G. (2013). The Collected Dictionary Articles of Geerhardus Vos. Bellingham, WA: Logos Bible Software. When it comes to the OT prophets and eschatology, one area of discussion is the “literalness” of prophetic language. Though not everyone agrees, in Reformed theology we see the prophets as speaking the truth in poetic and sometimes apocalyptic ways (similar to the Psalms, Revelation, and other parts of Scripture). Therefore we don’t read the prophets with strict literalism, though we do read them with a view that they are part of the infallible Word of God. In other words, although it is a difficult aspect of interpretation, the words of judgment and glory in the prophets aren’t necessarily chronological. For more helpful insight into OT prophetism, see Vos’ Biblical Theology, chapter six, part D (The Judgement and the Restoration: Prophetic Eschatology). Over the past 15+ years I’ve come to a pretty strong conviction that an understanding of redemptive history is of utmost importance in the pulpit ministry. Preaching that has no understanding of redemptive history is preaching that lacks. There are nuances to this discussion of course. I’m not an advocate of hyper redemptive-historical preaching. And I believe there is a time and place in the pulpit for topical and doctrinal sermons as well as solid application. Basically, my view is that the pulpit ministry should have a firm and balanced grasp of systematic theology and biblical theology, both of which should be generally evident in the preaching. I like how Edmund Clowney spoke about this in his very good book, Preaching and Biblical Theology. Clowney then talked about the text and the pulpit. Edmund Clowney, Preaching and Biblical Theology, p. 18-19.